I’m now reading two books. One was written ten years ago and its ideas are still influential and appreciated among tens of thousands of people. The other was written at least 2300 years ago, and its ideas are influential and appreciated among hundreds of millions of people. When is Collective Intelligence also Collective Consciousness? This seems to be a really important and practical question — not just an interesting philosophical one. This question occurred to me early this month when I read this NY Times article about Collective Intelligence and Privacy. I realized that I had been sloppily (or naively) using “collective intelligence” and “collective consciousness” as almost having the same meaning. The article in contrast – and apparently most tech-type people who use the CI term – are referring to the macro-level knowledge, insights, and power that accrues when intelligence about behaviors and perspectives is gathered from many sources, and analyzed to reveal patterns. In that usage the sources (e.g., individual people or organizations) may not even be aware that their intelligence and behaviors are being collected, or what the results are, or how the results are being used. As a result, “collective intelligence” is fraught with challenges to individual privacy, rights, etc. At minimum it seems that for collective intelligence to lead to collective consciousness, it has to be transparently accessible to the collective (the sources) as well as to the collectors. But I would really like to know more how others think about this, especially those who are most actively researching, pondering, parsing, categorizing, analyzing, wonkifying and creating collective intelligence. I’ll also add a few other posts about this, starting with the next one, (which you may have just read). 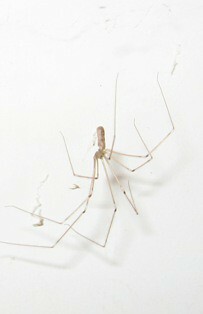 In my bathroom a spider is in a corner, hanging upside down from her web. It’s an ordinary cob-web spider with a tiny body and huge legs for running quickly, and for quickly spinning its web around when anything hits it. I haven’t removed her because she’s minding her own business and is the only one in there. So she just hangs there, day after day, mostly unmoving. She’s obviously not having many thoughts – or rather, none at all. But if something hits the web, or threatens her, she reacts swiftly. To have a thought, or even need one, she would have to have enough neurons for at least small memories. If she hangs there long enough with no food inserting itself in her web, then instead of thinking “I’ve been here three weeks with not enough food. I need to find a better place,” she probably only needs to perceive that’s she’s especially hungry in order to take some new action. How hard it is for us humans to sit (much less hang upside down) for days, or even seconds, without moving or thinking a single thought. To still our incessant minds we have to learn special techniques for meditating, or else gaze at especially beautiful sunsets. Spiders weave physical webs of intentionally invisible threads. Their tiny nervous systems are hard-wired webs of connections woven over millennia. That’s all they need. No thoughts. We, on the other hand, over our lifetimes each weave complex webs of thought, composed of perceptions, memories, and emotions. Language constitutes the visible parts of our webs. It is a web of meaning that can be used to hold worries (cautions), plans and visions. We are each always suspended in this web, and constantly changing it and adding to it. We are in fact *defined* (given meaning) by this web, to ourselves and to others. In between movements, a spider has no thoughts, and yet its nervous system is alert to anything that touches its web. It does not think, and it does not sleep. Our webs are webs of thought, and we are constantly listening to and interacting with our own thoughts. From this our minds become tired, and we need to sleep. Spiders and webs, and webs of meanings: These are not really *my* thoughts, but echoes of thoughts of our human culture, woven over millennia. Our common culture is the larger web from which we all hang, derive meaning, and think our thoughts. making, breaking, and keeping connections. Shy person falls in love. An experience and a story with billions of variations. as I can be aware of. I do not cross over. I do not become the other. Sometimes it feels as though I actually merge. Which is the illusion and which is real? That I am only me? Or that the connections are Real? Love without distinction is Oneness. Actually, any mutual awareness is a connection. Those are the connections I crave. Do we then also become aware of, tuned into, the consciousness that is emerging from all of these overlapping, persistent and fleeting connections, from self to self to self, from group to group to group?